Last night they were up against Jayyab Abusafia, from Jabalia Refugee Camp in Gaza, a freelance journalist who works for Alalamia TV in London, and Jafar M Ramini, a Palestinian writer and commentator on Palestinian/Arab affairs who was born in Jenin and educated in London and who is “a passionate advocate of peaceful co-existence based on the acknowledgement of equal rights and dignity for all”. Hannah Weisfeld made the case for the two state solution citing the separate identities of both peoples as one important factor. She also cited the fear that Israelis have from the constant rocket attacks and the sight of Palestinians who celebrate the release of Palestinian prisoners with blood on their hands. 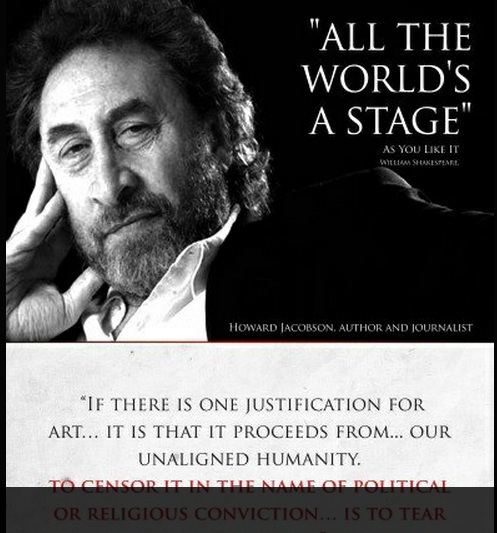 Yachad is not to everyone’s taste but it is a breathe of fresh air to hear Israel criticised when set against the two Palestinian commentators who painted a picture of the Palestinians as perfect. For example, below you can hear Jayyab Abusafia describe Hamas as having transformed themselves into a group of moderates and Jafar M Ramini describing the rockets that are fired into Israel as “fireworks”. Meanwhile, Weisfeld mentioned the recent “pricetag” attack on a mosque in Israel, but said that five mosques had been destroyed by settlers in the West Bank and this had been unreasonably tolerated by the IDF with no arrests made. Abusafia describes Israel as having locked the gates to Gaza and thrown the key into the sea with no mention of Egypt also having a key to Gaza, while Jafar M Ramini went back as far as 1890 to start his twisted account of so-called Zionist expansionism and quoted “A land without a people for a people without a land” as the Zionist war cry. He later invoked the Holocaust saying he had nothing to do with it after having told a totally gratuitous anecdote about Jews suing the German authorities even for the gold that was taken out of their teeth. Yachad are trying to concentrate on the here and now to try and work out how the Israelis and the Palestinians can forge peace. 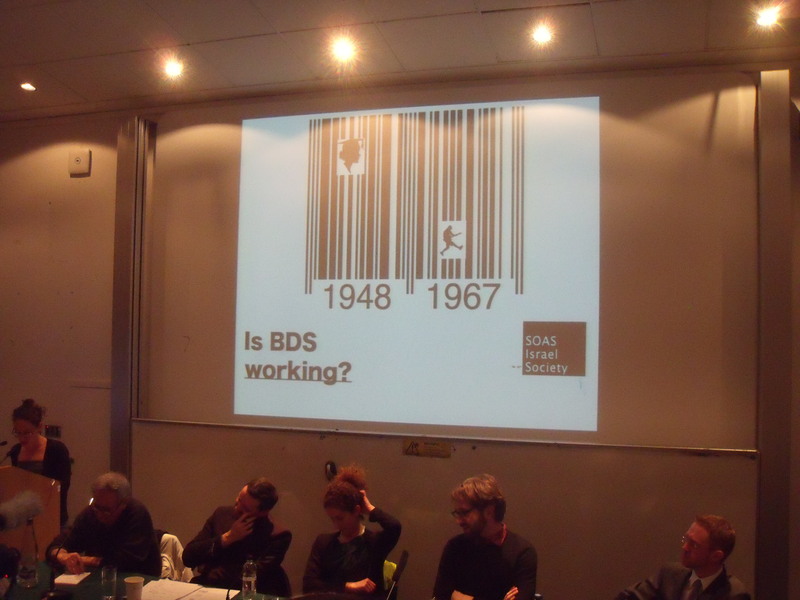 The problem is that those representing the Palestinians want to continue arguing over 1948 and, even, 1890. That is a conundrum Yachad will have to try to solve but at least they are there on campus working hard, while other traditional pro-Israel organisations are absent. But I think that Davis Lewin spoke for most in the room last night when he said that the evening had helped neither the Israelis nor the Palestinians. 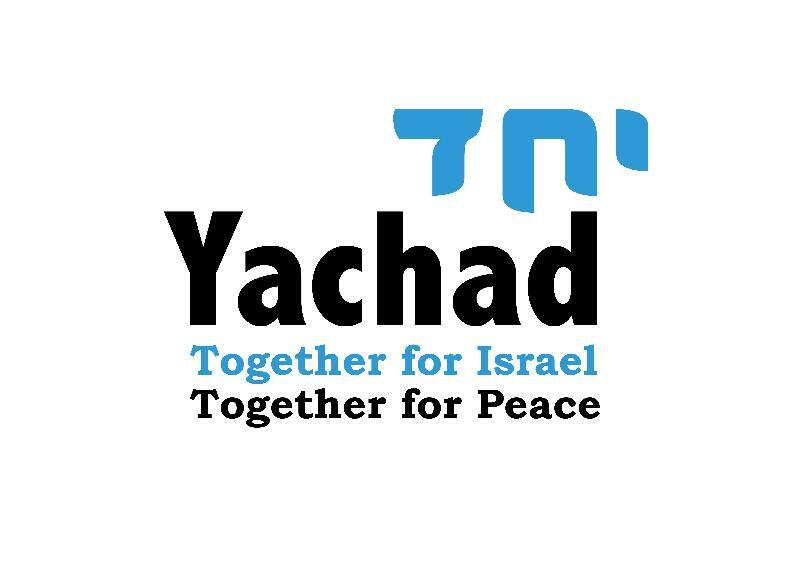 Halloween horror for Israel as Yachad appears on campus. Jonathan Arkush, Davis Lewis, Daniel Hochhauser (Chair), Hannah Weisfeld, Ed West. 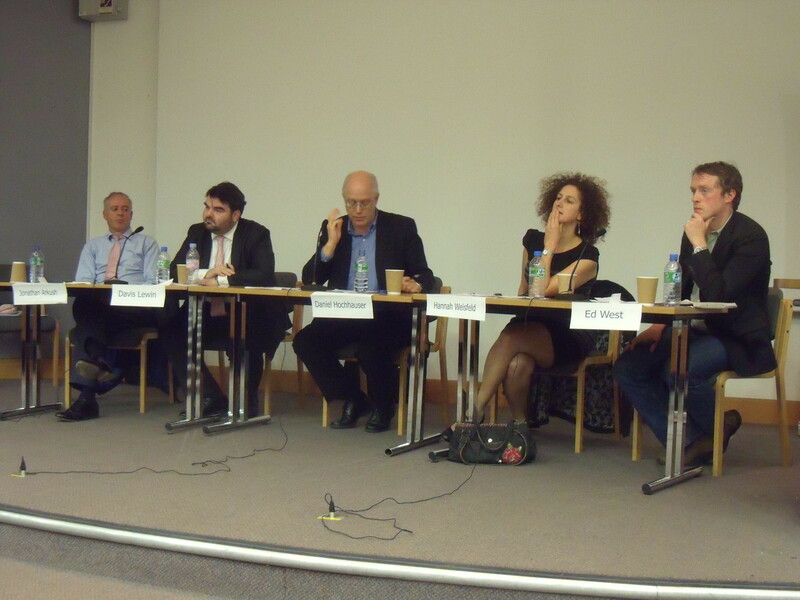 Hannah Weisfeld, director of Yachad which describes itself as “pro-Israel, pro-peace”, last night joined a JSoc panel at UCL to discuss whether Israel’s friends should be critical of her conduct. She was debating alongside Jonathan Arkush, of the Board of Deputies of British Jews, Davis Lewin, of the Henry Jackson Society, and Ed West, of the Daily Telegraph. Weisfeld is a campaigner by profession and has worked on climate change, fairtrade and Darfur awareness campaigns. She studied at Sussex University and the LSE and has lived in Israel and Malawi. She’s 30. Her main argument is that Israel has to be “Jewish and democratic” and she thinks that by 2050 it won’t be when considering that the population of Greater Israel (her words) by then will be half Palestinian and half Jewish. Therefore, “the occupation” has to end. But one word that Weisfeld does not use often, if at all, is “security”. She was asked why she doesn’t live in Israel near the West Bank and set up a political party to campaign against “the occupation”, instead of sitting in a safe London university theatre, but she thought the question unfair as it wouldn’t be asked of anyone else with differing political views to hers. She also fully endorsed two organisations which are major demonisers of Israel; Israeli human rights organisation Yesh Din and the website +972 Magazine.